The Sports Injuries virtual conference is designed to help you with your treatment of pain and injuries in your active patients and recreational sportspeople right through to elite athletes. If you treat sports injuries, you have undoubtedly wondered if you could do anything differently to help your patients get back to sport more rapidly and safely. Sports injury management doesn't start with an exercise program. It start with You. When it comes to sports injury management, we're used to designing exercise programs. This is an essential part of rehabilitating sports injuries, but there is a lot more to returning your patients to sport and the activities they love. As high achievers, we measure our patients progress by outcomes, not exercises performed. Performing more exercises won't matter unless they are the right exercises, targeted in the right way, and incorporated into an injury management and return to sport framework. To address this, I've created the 2017 Sports Injuries virtual conference that will drive patient results instead of checking off exercises. You will discover the most effective exercises to use at each stage of rehabilitation, and when to progress your exercises to get the maximum improvements in recovery, strength, conditioning and performance. You will explore tests and criteria you can use to help your identify when your patient is ready to return to training and play. I've worked closely with each conference presenter to ensure each presentation is practical, that you have clear ways of progressing exercise programs and returning patients to sport, and that it is focused on improving your treatment outcomes. We have also made sure all the material can easily be used with your patients. Would you like to learn more about sports injuries, and how to use the latest research in your treatment? If you love treating sports injuries, getting your injured players and athletes back into the sports they love, and would like to become an expert on sports injuries in your area, enrol on the 2017 Sports Injuries virtual conference now. Your path to improved sports injury management involves using the latest evidence, and now it's time for us to make that easy for you. You can immediately use the material from the Sports Injuries virtual conference to develop simple and successful treatment programs. Your confidence and success with these patients will develop, and your successful treatment will create word of mouth referrals to bring in even MORE sporting patients. If you could improve your success with sports injuries, what would that mean for you? Your ticket to the Sports Injuries virtual conference includes…. What do you receive when you enrol on the Sports Injuries virtual conference? I have worked closely with each of the 13 Sports Injuries virtual conference presenters to make the Sports Injuries virtual conference really practical for you, so you can use it immediately with your sports injury patients in your clinic, while incorporating the latest evidence. When you enrol on the Sports Injuries virtual conference, you will get complete access to all of the presentations from each presenter. This includes preconference and conference presentations with details, pictures and demonstrations of assessment tests, rehabilitation exercises and progressions you can use. You will be taken step by step through your assessment findings so you are clear and confident with your assessment and be able to use your assessment to guide your treatment and rehab program. You will have access to video demonstrations, examples and case studies with practical strategies and exercise progressions you can use with your patients. The presenters will help you tie this all together into a clear assessment and successful treatment program. When you enrol on the Sports Injuries virtual conference you will get access to practical, detailed Preconference AND Conference presentations from 13 leading sports injury experts. You will be able to access all of these presentations for up to 12 months following the conference. 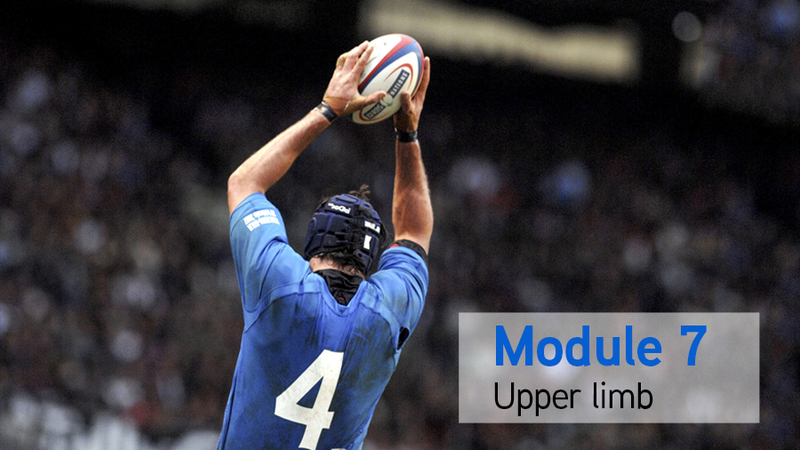 You get complete access to 8 complete Sports Injury modules, with 26 presentations from the leaders in sports injuries. Because you wanted long access to conference presentations, and so you can enjoy the conference whenever it suits you, you have full access to all preconference and conference presentations for up to 12 months, even if you are unable to attend on December 9-10. The Sports Injuries virtual conference contains 17 hours of Continuing Professional Development (CPD). Each presentation will automatically be added to your CPD record as soon as you watch it. You will also receive a Certificate of Attendance for your resume or CPD portfolio to verify your enrolment on the Sports Injuries virtual conference. Understanding what movements are high tendon load is vital to understanding what may have cause any symptoms, and which loads to remove. Different loads such as tensile, compression, shear as well as rate of loading will be explored. Loading is consistently the most effective for treatment of tendon pain, yet it is still often misunderstood or under-utilised in the management of this condition. Thorough understanding of loads is imperative to good assessment and treatment of tendinopathy. 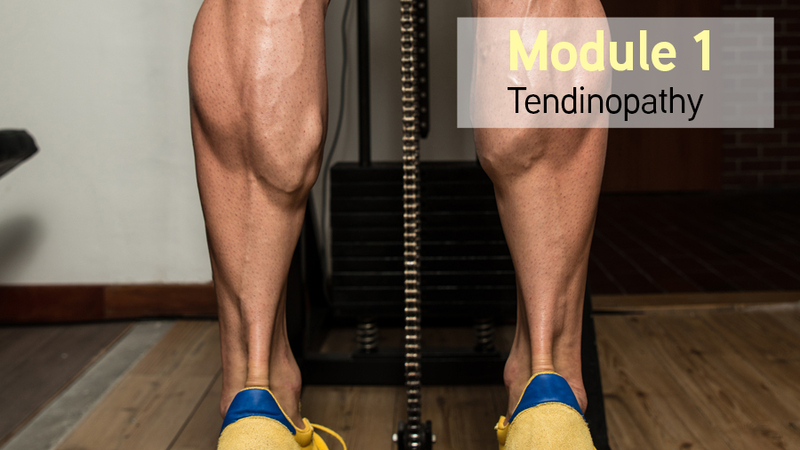 To begin with, understanding what movements are high tendon load is vital to understanding what may have cause any symptoms, and which loads to remove. Different loads such as tensile, compression, shear as well as rate of loading will be explored. Following this it is vital that significant load based interventions form part of any intervention. Current understanding regarding how to stage loading will be presented. In addition to this, considerations for common errors and areas of deficit will also be discussed. In-season management and balancing athletic loads is also a challenging aspect of tendinopathy management in athletes, and strategies for minimising performance deficits are critical. Understanding the puzzle of loading will help unlock effective management of people with tendon pain. How do imaging results affect your tendinopathy treatment? When partial tears are identified in imaging, how does affect your treatment? Find out in this preconference presentation with Dr Sean Docking. When is imaging useful in tendinopathy? How does imaging results affect your treatment? How can you communicate imaging findings to your patients? Find out with Dr Sean Docking. The utility and strength of any clinical test is how it directs treatment to improve patient outcomes. This can either be by providing a clinical diagnosis, or identifying a sub-group where treatment needs to be tailored for that specific patient. In tendinopathy, the utility of imaging as a clinical test has yet to fully understood. Ultrasound and magnetic resonance imaging (MRI) are commonly used to visualise the internal structure. While imaging has the ability to identify pathological tendons, its relationship to clinical symptoms is limited. A proportion of the population demonstrate asymptomatic pathology, which may lead to a confusing clinical picture. Specific pathoanatomical features, such as partial tears, may be able to be identified using imaging. However, these interpretations are based on subjective interpretation with recent research suggesting that imaging may have poor accuracy in differentiating tendon degeneration and partial-thickness tears. While imaging is a useful tool in the visualisation of the tendon, its utility needs to be based on an understanding of the critical features that affect clinical improvement during rehabilitation. The aim is to present and synthesise the current literature and provide the clinician an understanding of when imaging may be useful in tendinopathy. This will provide context on how to communicate imaging findings to the patient to ameliorate potential negative findings. Most people are comfortable with the understanding that in sport, successful teams are commonly the ones where the best players are available for selection. Our role as medical professionals, therefore, is to (a) get an injured player back onto the field as quickly as is safe; and (b) to keep them there. The aim of this conference presentation is to work through the rehabilitation and decision-making processes that will help maximise the chances for an athlete to thrive upon their return to competition. The presentation will discuss current research, as well as applied practice principles that can be applied to any setting, whether they be in a professional or amateur setting, irrespective of the sport. By the end of the preconference presentation, participants will have a very clear framework upon which to build their own systems that are applicable to the population they work with. The full-length conference presentation goes into more detail about this and expands to provide the participants with an applicable testing battery that is easily transferable to any setting, designed to ensure that the athlete not only survives, but thrives upon returning to action following an injury. Discover how to incorporate a progressive model of strength training and speed work into your sports and musculoskeletal rehab. A case study example will also be incorporated to help you implement the strength and conditioning principles with your patients. The rates of hamstring strain injury (HSI) has remained high over the last 20 years. Whilst there is evidence to suggest that higher levels of eccentric strength and longer biceps femoris fascicles can mitigate the risk of future HSI in athletes, evidence regarding the most appropriate loading strategies to bring about such adaptations is still limited. A number of factors are thought to influence the adaptation of the hamstrings to resistance exercise and these factors are key considerations when selecting exercises to mitigate the risk of first time or recurrent HSI. These factors include exercise specific characteristics such the activation profile of the exercise, contraction mode, joint dominance and the range of excursion as well as programing variables such as volume, contraction intensity, the frequency of training and contraction velocity. The presentation will cover the findings of our research group’s work which has examined the impact of manipulating the above variables on changes in biceps femoris architecture and eccentric strength. The data presented should provide practitioners evidence based guidance to assist with their decisions around exercise selection for HSI prevention. The presentation should be viewed prior to watching the talk from Mr Jack Hickey. Discover how to rehab hamstring injuries using an accelerated treatment program,, progress your exercises, the benefits of an accelerated, progressive rehabilitation protocol, and how to know exactly when your players are ready for return to training and return to sport. 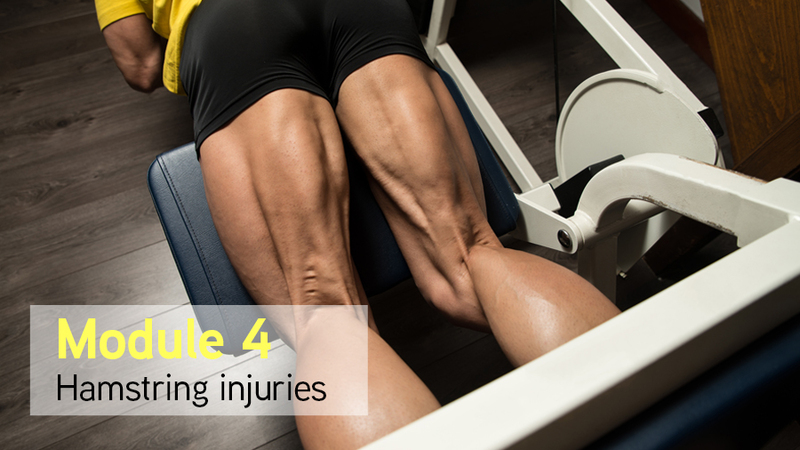 In this presentation, you will explore the clinical implications and results of three studies on hamstring injury rehabilitation to help improve your results with hamstring strain injuries. Hamstring strain injury (HSI) remains the most common cause of time lost from competition in many sports involving high speed running. Following return to play (RTP) clearance, persistent deficits in hamstring muscle structure and function, along with high recurrence rates suggest inadequacies in current rehabilitation practices. The purpose of this program of research was to explore inadequacies in conventional clinical practice and look to improve the outcomes of HSI rehabilitation. Study 1: A systematic review of the criteria used to determine rehabilitation progression and RTP clearance following HSI, found two potential contributing factors to persistent deficits in hamstring muscle structure and function. The first of these was a lack of objective monitoring of hamstring muscle structure and function throughout rehabilitation. The second was the fact that rehabilitation in typically only allowed to continue and progress in the absence of pain, potentially reducing exposure to rehabilitation stimulus. Study 2: A novel apparatus capable of measuring knee flexor strength during a range of hamstring exercises was found to be moderately to highly reliable (ICC = 0.83 to 0.95). This study also investigated between leg differences using this apparatus in males with and without a history of unilateral HSI in the past 18 months. Those with a previous HSI demonstrated large deficits in their previously injured leg for isometric knee flexor strength, rate of force development and knee flexor force output during the eccentric sliding leg curl. Study 3: Thirty-six males with an acute HSI were randomised to a pain-threshold (n=18) or pain-free (n=18) rehabilitation group. Rehabilitation emphasising eccentric strength and progressive running was performed fully supervised twice per week, with participants in the pain-threshold group permitted to continue and progress in presence of up to 4/10 pain on a 0-10 scale, whilst pain was avoided in the pain-free group. Biceps femoris long head fascicle length (FL), range of motion (ROM) and isometric knee flexor strength (ISO) were objectively assessed at the start of each visit, whilst eccentric knee flexor strength was objectively measured during the Nordic hamstring exercise (NHE). Both groups made large improvements from initial clinical assessment to RTP clearance in FL, ROM and ISO. At RTP clearance, average eccentric knee flexor strength was significantly greater (p=0.03; d=1.01, 95%CI=0.26 to 1.78) in the pain-threshold (420±64N) compared to the pain-free (353±68N) group. During a 6-month follow-up, four re-injuries occurred (9%), with two in each group. Conclusion: The current program of research has identified inadequacies in conventional HSI rehabilitation practices. Through the implementation of a novel apparatus measuring knee flexor strength and alternative guidelines for rehabilitation, these findings challenge conventional clinical practice and should improve future outcomes of HSI. What is inguinal-related groin pain? How should we diagnose it? If your patients present with a “sports hernia”, what should you do? What is the best treatment for inguinal-related groin pain? Inguinal-related groin pain is perhaps the most confusing topic in sports medicine! At the Doha Agreement meeting on terminology for groin pain in athletes we waved goodbye to the terms sport’s hernia and opted for inguinal-related groin pain. In this presentation, Dr Adam Weir will provide you with an overview of the literature surrounding treatment, how rehabilitation of inguinal-related groin pain is approached at Aspetar, and how you can treat this condition in your patients. Hip impingement, also known as femoroacetabular impingement syndrome (FAIS) is a common cause of hip and groin pain in young and middle aged athletes. How can you treat FAIS in your patients? Which exercises are beneficial and evidence-based? 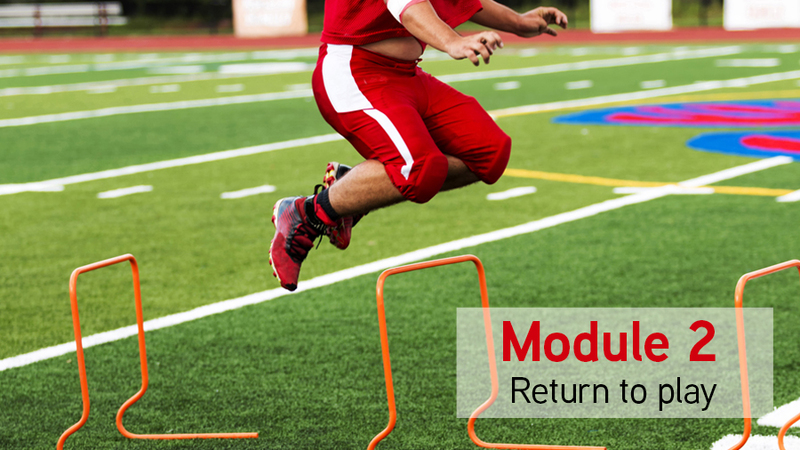 Discover how to treat FAIS, progress your patients through their rehabilitation program, evidence-based exercises and exercise progressions you can use to successfully return your FAIS patients to play. People with FAIS have symptoms, clinical signs, and positive imaging findings. In particular, our previous research has shown that FAIS has a large negative impact on physical activity levels and quality of life in affected people. These people are usually young and middle-aged adults who have large sporting, work and family- related commitments. FAIS also increases the risk for end-stage hip osteoarthritis (OA) and the need for total hip joint replacement surgery in later life. Interventions that are targeted to individuals earlier in the OA disease spectrum, which include young adults with FAIS, are likely to reduce symptom severity, potentially reducing the financial costs of this condition. Arthroscopic surgery is commonly used to treat FAI, but it is expensive and imparts surgical risks. Physiotherapy may be an effective, low risk and low-cost intervention to reduce pain and improve function. While physiotherapy treatment is used clinically, there is no randomised controlled trial (RCT) evidence and very limited non-RCT evidence regarding the efficacy of physiotherapy management for FAI. This presentation will discuss an evidence-based assessment of a footballer with FAIS. It will then outline an individualized, targeted treatment approach based on knowledge of physical impairments. Factors affecting a successful return to play will also be explored. At the conclusion of the presentation, participants will be able to assess and manage athletes with FAIS, using an evidence-based framework. 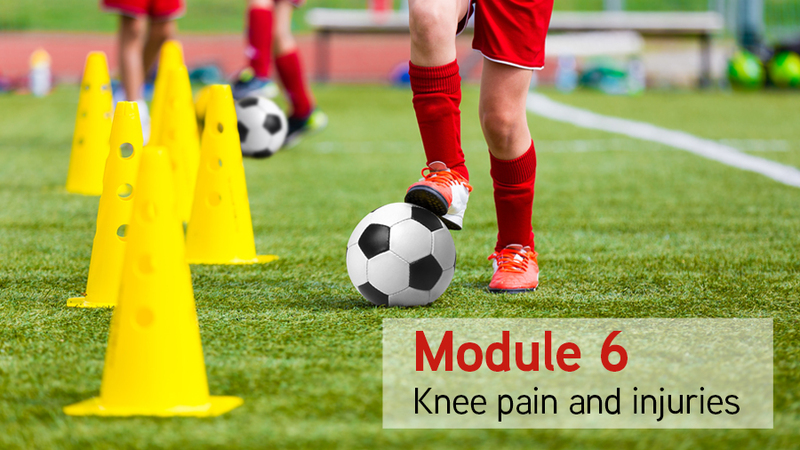 Discover an evidence-based approach and targeted program you can use with your footballers and athletes to prevent hip and groin pain with Andrea Mosler. 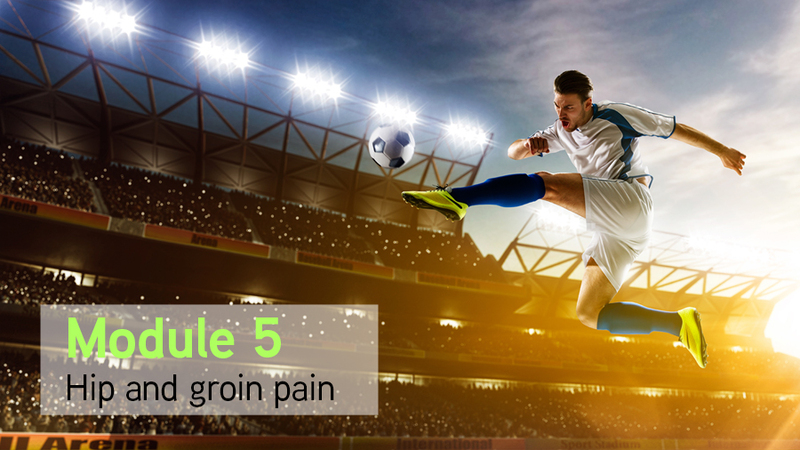 Hip and groin injury is common in various football codes and causes considerable time lost from training and match play. Despite knowledge of the high burden of groin injury, prevention programmes have had limited success. Understanding the aetiology, and identifying risk factors for injury are essential to a successful injury prevention model. Intrinsic risk factors such as muscle strength and range of motion, as well as bony morphology, have the potential to increase the risk of hip and groin pain in football players. Musculoskeletal screening tests are commonly performed in athletes to detect individuals with potential risk factors. The aim is to then prescribe individualised, targeted prevention programs based on the test findings. However the ability of screening to detect players at risk of hip and groin injury in football has not been established. My PhD project investigated the association between potential intrinsic risk factors identified from screening, and time-loss hip/groin injury in professional male football players. In this conference presentation, I will discuss the results of this research and the clinical implications for hip and groin screening in athletes. The value of screening in managing groin injury risk in athletes will be discussed. I will also provide evidence-based recommendations for the prevention of hip and groin pain in football players. How to make the link between early rehab and return to sport. After this presentation you will be able to tailor your rehabilitation to your individual patients. You will have new practical tools, exercises, progressions and load management, strategies that can be used with your patients, to improve your results and confidence with patellofemoral pain and successfully return your patients to sport. 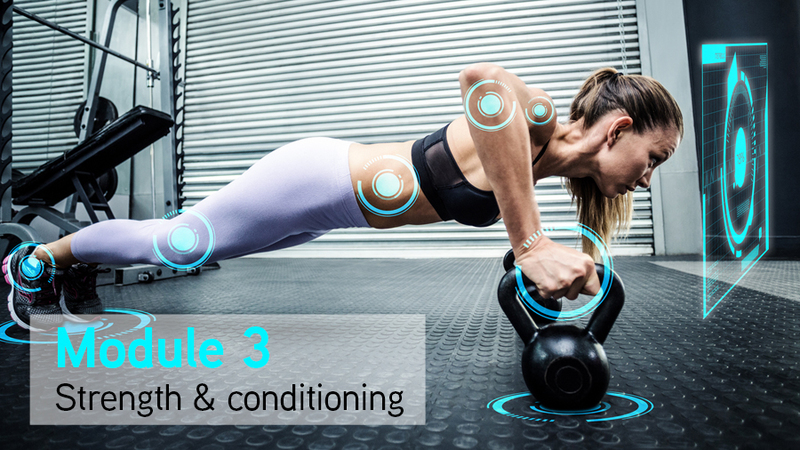 Discover how to use evidence-based assessment and exercise interventions to improve your rehabilitation of AC joint injuries. Acromio-clavicular joint injuries are common among sporting populations and account for up to 12 % of all sports related shoulder injuries. However, increasingly the literature challenges the use of classification systems to grade injuries and use them as a basis for treatment planning. Furthermore, long-term outcomes suggest that persistent issues are more common than previously reported. An increased understanding of these injuries demands a fresh look at assessment and whether there are more effective ways of identifying the best management options for individual patients. Furthermore our increase knowledge of kinematics and dynamic stability around the ACJ offer opportunities to optimise our rehabilitation interventions. By using simple evidence based assessment and exercise interventions we have the potential to enhance outcomes. Tennis elbow can be persistent, severe and resistant to treatment. Clinical outcomes are often difficult to predict, however our understanding of severe and persistent tennis elbow has evolved over recent times and will be a focus of this presentation. This presentation will help you explore how individual factors influence outcomes, and how these factors can be used to guide your management. You will discover how to use the latest and best evidence based treatment options in your patients with lateral elbow pain to improve your results and treatment outcomes. Neck strengthening is often neglected in our rehabilitation of neck pain and injury. Discover how to implement neck exercises and strengthening in your sports and musculoskeletal patients, including specific exercises and exercise progressions you can use to improve your results with neck pain. Neck injuries are prevalent across all sports ranging from general neck soreness following increased load to severe spinal injuries and high correlations between concussion and cervical injuries. 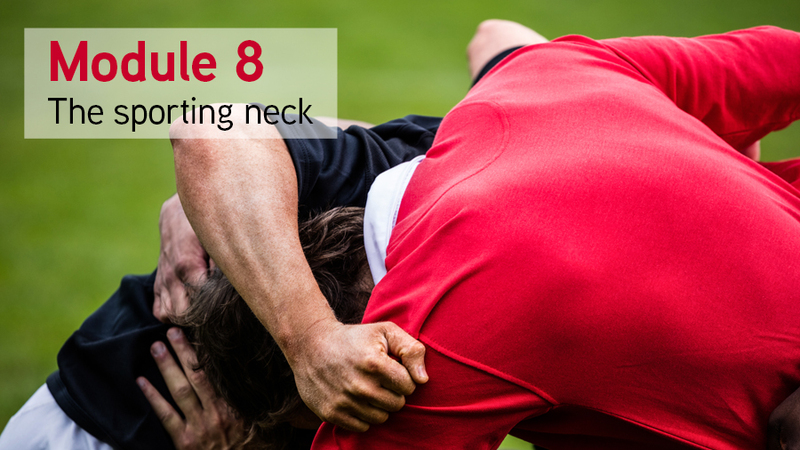 Although recognised as a common injury we are lacking in research and practical application of screening and rehabilitation of the sporting neck. This pre-conference presentation looks at the forces sustained by necks during a range of sporting activities and the common injuries that occur due to these forces. We then discuss the ‘normal’ neck and testing that can be done so provide a baseline line for neck rehabilitation and strengthening. The main presentation focuses on neck exercise prescription in order to build a robust neck, specific to the sport and athlete you are working with. Case studies and reviews of research are used to develop sport specific strength training program examples that can be used in neck injury rehabilitation and prevention. Because I’m really excited to welcome you (and watch you have great success with sports injuries) you have the opportunity to enrol in the Sports Injuries virtual conference TODAY at the Early Bird price, which is only available when you enrol before the timer hits zero. What have previous virtual conference attendees said about the conference? 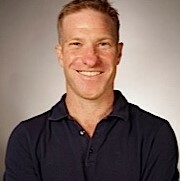 Dr David Opar (BAppSci - Human Movement, Hons, PhD) is a lecturer at the School of Exercise Science, Australian Catholic University, Melbourne, Australia. 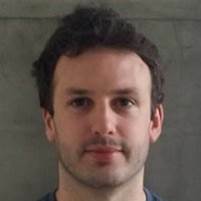 Jack Hickey currently works within the ACU School of Exercise Science as a lecturer, teaching first and second year anatomy and also supervises students in the Masters of Clinical Exercise Physiology program. 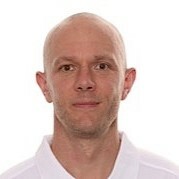 Dr Adam Weir is a British sports medicine physician, working as the medical coordinator of the Erasmus University Hospital Academic Centre for Groin Injuries in Rotterdam. He is also the Deputy Editor of the British Journal Of Sports Medicine. Dr Weir is interested in the integration of education in sports medicine and has published articles in multiple sports medicine journals. Dr Joanne Kemp PhD Master Sports Physio, B App Sc(Physio) is a titled APA Sports Physiotherapist with more than 25 years’ experience. 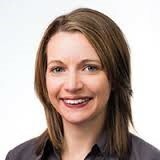 She is a Research Fellow at the Latrobe Sport and Exercise Medicine Research Centre, Latrobe University, Australia. Andrea Mosler is a Specialist Sports Physiotherapist who has worked in the Departments of Education and Rehabilitation at Aspetar Orthopaedic and Sports Medicine Hospital in Doha, Qatar. 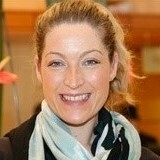 She was also a clinician at the Australian Institute of Sport from 1995-2013. 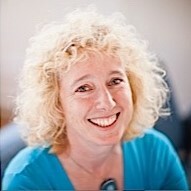 Jo Gibson is a Clinical Physiotherapy Specialist who has specialised in rehabilitation of the Shoulder since 1995 and works at the Liverpool Upper Limb Unit and in private practice. She is a Consultant to several elite sports teams regarding shoulder rehabilitation. Jo is an Associate Lecturer at Liverpool University, has published in Peer-reviewed journals and has written several book chapters. 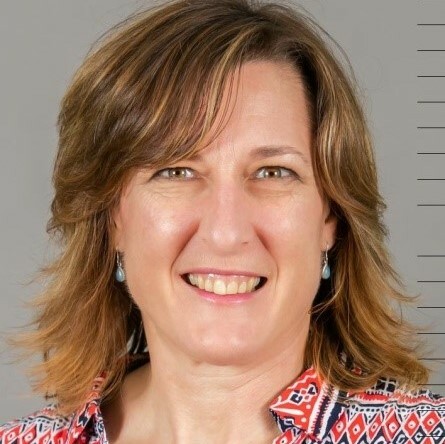 She is currently a Board member of the European Society of Shoulder and Elbow Rehabilitation (EUSSER), Chair of the Education Committee (EUSSER) and is Co-Editor of the Educational Section of the Journal of Shoulder and Elbow. Her research interests are complex instability, accelerated rehabilitation and the role of the kinetic chain in shoulder rehabilitation. 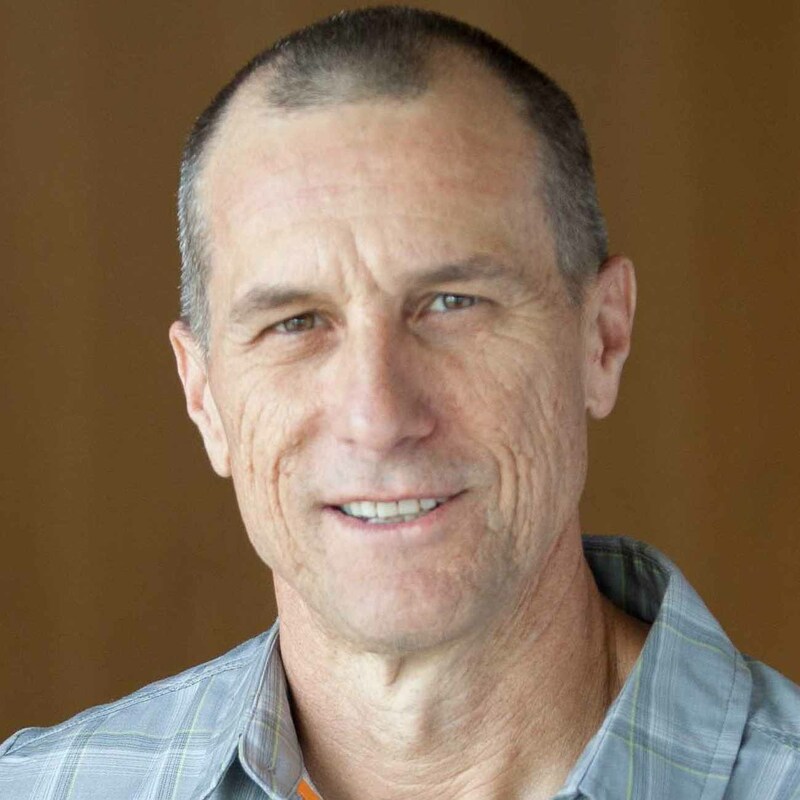 Bill Vicenzino (PhD MSc GradDipSportsPhty BPhty) is a Professor in Sports Physiotherapy at the University of Queensland, Australia. He is the Director of the Master of Physiotherapy programs in Musculoskeletal & Sports Physiotherapy and of the Sports Injury Rehabilitation and Prevention for Health research unit. 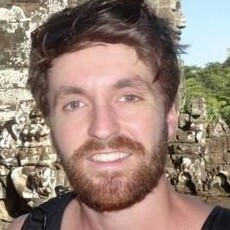 Kay Robinson is a Sydney based Physiotherapist with extensive experience working in elite sport. 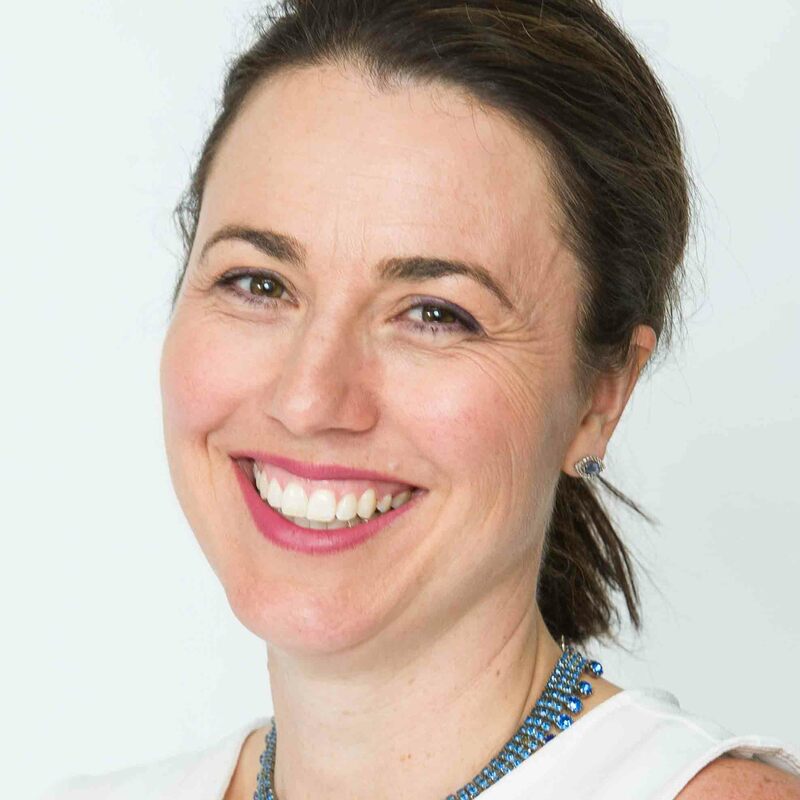 She has gone on to working with Australian Sailing to implement neck strengthening programs and has written a chapter on "The Athletic Neck" in Sports Injury Prevention and Rehabilitation. How long do I have access to the conference for? Gold Sports Injuries virtual conference enrolment will provide you with 3 months access to the current version of the course. With Platinum conference enrolment, you will have access to the presentations for 6 months. If you choose a Diamond conference enrolment, you will have access to the 2017 and 2018 conference presentations for 12 months. When will I get access to the Sports Injuries virtual conference presentations? When you enrol on the Sports Injuries virtual conference you will get IMMEDIATE ACCESS to all of the preconference and conference presentations. What are the audio downloads, and how do I download these? Platinum and Diamond Conference passes provide you with audio downloads of the preconference and conference presentations. These will be available from within your login to download to your Computer, Phone or iPod during your post-conference access, to listen to whenever it suits you. You can download these at any time in the 6-12 months of your access, and listen to them again at any stage in the future. Once you have downloaded these, the audio files never expire. Will there be conference handouts available to me? There sure will be. You will be able to download handouts for each of the preconference and conference presentations. Will I have access to the preconference presentations? Yes. These will be available for you to view in your login, after you enrol. Can I share my conference access with my friends or workmates? Each conference enrolment will have one live access to the conference, and one Certificate of Attendance for your CPD Record. Please be honest with your conference login. We really appreciate your honesty in keeping your conference access to yourself so that we can continue to organise education like this for you, and depend on your honesty to be able to do this. I am trying to enrol on the conference, and I am getting a Whoops message, or my payment is not going through. What should I do? You need to sign in to https://www.clinicaledge.co first, as your email address and password was saved when you attempted to enrol or you have a previous Clinical Edge login from a previous course, conference or membership. In this case, just choose Sign In first, and then go to the conference enrolment page. When do I pay for my conference enrolment? Can I pay for the conference in instalments? No. Full payment is required at the time of enrolment. I have tried to enrol, but the website won’t accept my enrolment, I am getting a Whoops message or nothing seems to be happening. How can I enrol? Unless you got sent to a Thankyou page, your payment did not go through. If you do have any issues during signup, it is generally due to the issues mentioned above. Are there any discount for students? Yes! We offer a significant discount for undergraduate students. For specific information on the student discount or to take up the student offer please email a copy of your student registration/university enrolment details to info@clinicaledge.co and let us know what ticket you are interested in for the conference registration and we will send through a discount coupon and further instructions. What are the computer requirements to be able to view the online conference? No. The 2017 conference tickets are only available in Australian Dollars. Yes. The security of your purchase is ensured by an SSL certificate with 256 bit encryption, and a fully secure Stripe payment portal (www.stripe.com) . Your web browser will show a Green padlock and the word "Secure" when you are on this website. Is this Sports Injuries virtual conference going to be awesome? Big time, it’s off the Richter scale in awesomeness!. I am a Clinical Edge member. Will recordings of these videos be available for me anyway as part of my membership? No, the Sports Injuries virtual conference is separate to Clinical Edge membership. You will not have access to any of the conference videos as part of your membership. You will need to purchase a separate ticket to the 2017 Sports Injuries virtual conference to access the presentations and resources. I am a Clinical Edge member. Do I receive any deals on the conference? Yes! We have a special introductory offer available to Clinical Edge members with a current financial (not free trial) membership. We will provide you with a complementary upgrade from a Gold Conference pass to Platinum, free of charge! Simply enrol on the Gold Conference pass, and email us at info@clinicaledge.co for your free upgrade. You must maintain your Clinical Edge membership for a minimum of 1 month following this to maintain your free upgrade. If you unsubscribe in the first month after your upgrade, your conference enrolment will revert to a Gold ticket. I am a Clinical Edge member. How do I enrol on the conference? Login to the website by clicking on Sign In, and entering your email address and password. Go to “Events” at the top of the website, choose Sports injury virtual conference, and enrol on the Conference Pass of your choice here (on this page). Do I have to be a Clinical Edge member to enrol on the conference? Conference enrolment is open to members and non-members. You will have to enter an email address and password, so all of your invoices and CPD records are kept together. Do I need to login before I enrol on the conference? If you are a Clinical Edge member, OR have enrolled on a previous course, conference or waiting list, you will need to login before you enrol on the Sports Injuries virtual conference. If you have not previously made a purchase on the Clinical Edge website, you will create a login with your enrolment. I am already a Clinical Edge member, but would like to sign up for the Diamond Conference Pass. How does this work? Your membership will be updated to give you an extra year of Platinum member access, as well as access to the 2017 Sports Injuries virtual conference and the 2018 Clinical Edge Sports Injuries virtual conference. 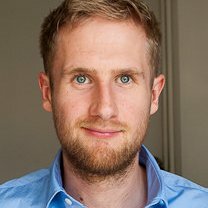 What does the price of my conference pass go towards? 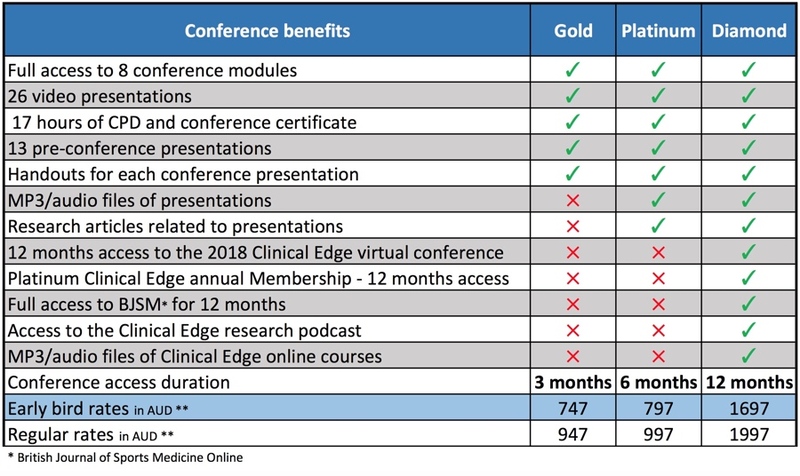 To ensure the highest quality presenters and material are provided for conference attendees, all Clinical Edge virtual conference presenters are paid for their conference and preconference presentations. A lot of time and cost is involved in the research, organisation and preparation throughout the year for each conference. Unlike physical courses and conferences, your conference enrolment provides you with access to the conference presentations for up to 12 months, allowing you to watch presentations whenever it suits you, as many times as you like. You save hundreds, if not thousands, on travel time, travel costs and accommodation, while accessing the conference from the comfort of your home or clinic. All of this for less than the price of one physical course or conference!